Starting your child off with preventative dentistry is the most effective way to ensure that their teeth stay healthy for a lifetime. The May St Dental Centre team welcomes children from when their first teeth come in, between the ages of six months to one year. In fact, you can even bring your children with you for your checkups, letting them get familiar with our practice or go up and down in the dental chair. We’ll help your child have a beautiful smile and learn the proper hygiene habits to maintain their oral health. They’ll feel comfortable with our friendly staff and learn to enjoy their appointments. They’re welcome to play in our kid’s corner in the spacious reception area until their appointment time. Then, we’ll let them look at our equipment and talk over what we’ll do, making sure they feel informed and ready to get started. 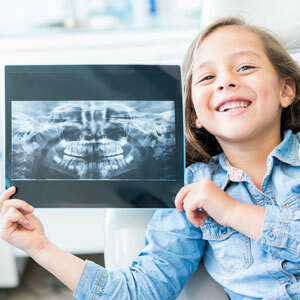 Just like an adult, a child should have a biyearly checkup with their dentist. It will ensure that any problems are caught early on and keep their oral health in great shape. Another advantage is that your child will be familiar with our practice and never feel common dental fears that many adults suffer from. We’ll go above and beyond to make sure that they have a fun experience. Our team’s sense of humour and gentle touch will leave your child smiling. This government program provides $1000 in dental treatment every two years for eligible children between 2-17. Book an appointment today for children’s dentistry East Fremantle! Same-day visits are available.